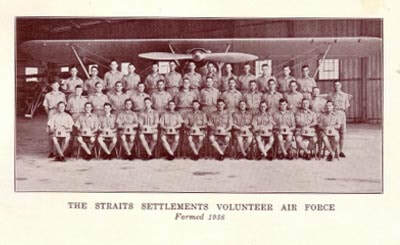 Formed in 1936 it was originally titled The Straits Settlements Volunteer Air Force, it was renamed in August 1940 to the MVAF operating mainly civilian aircraft such as the de Havilland Tiger Moth, Leopard Moth and Rapides. 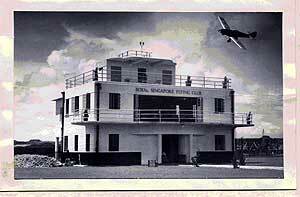 Personnel were recruited from members of the Royal Singapore, the Kuala Lumpur, Penang and Perak flying clubs, in addition the private airline, Wearnes Air service was commandeered. F/O H C Grant-Watson 5 Moth majors, 1 Avro tutor, 2 Tiger moths The duties of MVAF pilots were geared around providing air intelligence, ferrying dignitaries around the peninsula, carrying out black out checks on the principal cities, as well as being responsible for the perimeter security of their air field, being armed with a rifle and ammunition. 4 Dave Walker, Hong Kong Shanghai Bank. Returned to the UK in 1941 to join RAF, later killed in action flying a spitfire. 10 “Ginger” Franks, joined RAF in Singapore. Severely injured returning from a bombing mission when his Wildebeest crash-landed; he subsequently died on a ship when evacuated with other wounded servicemen. 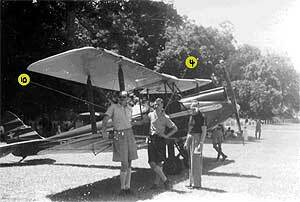 5 Tony Allen, ICI, killed in a Tiger Moth when giving flying lessons. 6 Nick Carter, an Australian radio expert. 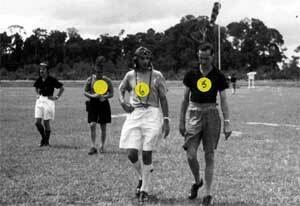 He later volunteered for hazardous duty by spying on the Japanese in Selangor sending radio signals to base. He never returned and was presumed killed. On 1st December 1941, the MVAF was mobilised. Armaments on their basically civilian & training aircraft were inadequate and hastily improvised in readiness for war. On 7th December, 1941 a Catalina on seaward reconnaissance piloted by Flying Officer Pat Bedell was shot down by Japanese fighters in the Gulf of Siam and he is probably the first casualty of the Far East conflict, a few hours before the strike on Pearl Harbour. When not flying the men of the MVAF, issued with a rifle and 50 rounds of ammunition were required for aerodrome defence duties. Despite the pressing attacks and the considerable ground gained by the Japanese forces the MVAF flew on hundreds of missions. ​A batch of 51 Hurricanes which had arrived in Singapore on January 13th 1942 were hastily unpacked and in the middle of assembly when a Japanese air patrol spotted them and destroyed all of them. The MVAF also played a critical role in dropping messages to the scattered units of the retreating British army. This was not only a danger from marauding Japanese fighters but from demoralised British troops who also fired upon them believing the Japanese to have air supremacy. With the fall of Singapore imminent the MVAF were transferred to the Dutch East Indies. The Japanese meanwhile were beginning to close in and again the MVAF were ordered to evacuate. This time the remaining personnel and some 2000 RAF & RAAF personnel embarked on the SS Kota Gede, arriving in Colombo on March 6th 1942. ( S/L Chattaway, F/L Dane & F/L Harvey having elected to remain in Java with their aircraft). Of the 45 aircraft of the MVAF on December 1st 1941, only 5 survived. Several men of the MVAF made their own escape arrangements reaching Australia where they promptly joined the RAAF. Grave/Memorial Reference: Brit. Sec. J. A. 11. Additional Information: Son of Mr. and Mrs. W. F. B. Paul.